“I definitely think that there will be a lot of stories that can come from and be inspired by the Philippines because culturally, artistically, creatively, it’s such a rich world that (it) would be very exciting to see. And I definitely think that’s in the future,” Josie told the media, including The STAR, last Friday when asked about the possibility of a Philippines-inspired Disney animation similar to other “culturally-themed” films like Coco (Mexico) or Moana (Polynesian islands). The Pinay artist was here to promote the latest Disney animated film Ralph Breaks The Internet, a follow-up to the 2012 Wreck-It Ralph, which opens Nov. 21 in cinemas. She is the film’s co-head of story, which means she oversees the story team responsible for translating the script to its first visual form. Her other Disney credits include 2016’s Oscar-winning feature Zootopia, Tangled (2010), The Princess and the Frog (2009), among others. She was also part of Wreck-It Ralph 1. Ralph Breaks the Internet brings back to the big screen video-game bad guy Ralph and fellow misfit Vanellope von Schweetz. They leave the video arcades behind and venture into world of the Internet. 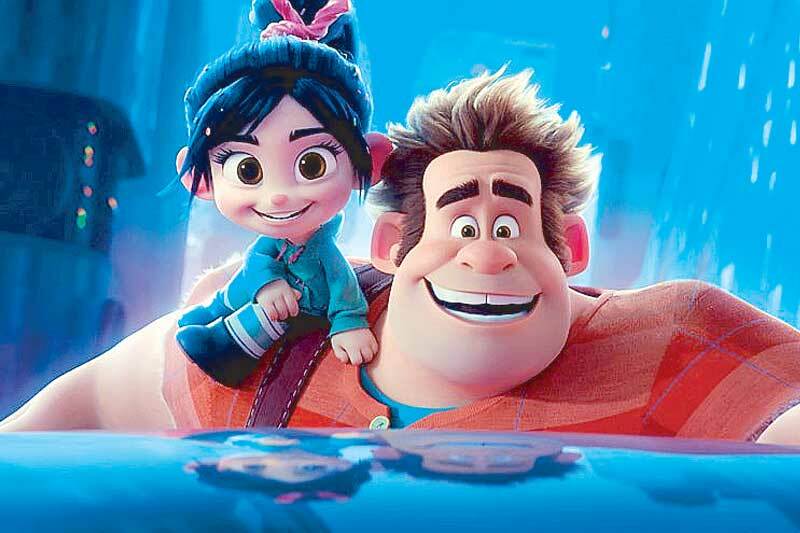 In Ralph Breaks the Internet, video-game bad guy Ralph and fellow misfit Vanellope von Schweetz leave the video-arcade life behind and venture into world of the Internet. She also shared how the sequel came about. “Rich Moore (as director) and Phil Johnston (as screenwriter) worked on the original. This is the first movie where we have the original filmmakers making the sequel and after they finished the first one, they said, you know what, this is great, this movie, we’ve ended it where we wanted it to. And then they have the idea, what if Ralph went to the Internet, broke the Internet, like that’s really funny that this videogame character could think that he could destroy the internet. That sort of opened up the whole world of possibilities. Josie, who still has a lot of family in the Philippines and has come home often, was also asked about her Pinoy roots, and what it’s like being a woman in animation, which in her own words, is such a “competitive” and “laborious” job. Below are excerpts from the rest of the interview. Josie is the film’s co-head of story, overseeing the team responsible for translating the script to its first visual form. “My family always talks about that. Each side will claim that the artistic side comes from them. But I feel like my dad is someone who likes to tell stories, and he grew up during World War II. As a kid, we always heard about the war, and the Japanese occupation and all these different stories. So, I feel like the storytelling side came from my dad. But you know, things like hard work, things that Filipinos always instill in their children — that came from the both of them. “I’m the bunso. I’m the first artist in the family. My other cousins are lawyers, doctors and engineers, so I really went out on a limb doing art and animation (laughs). But now they’re very proud. 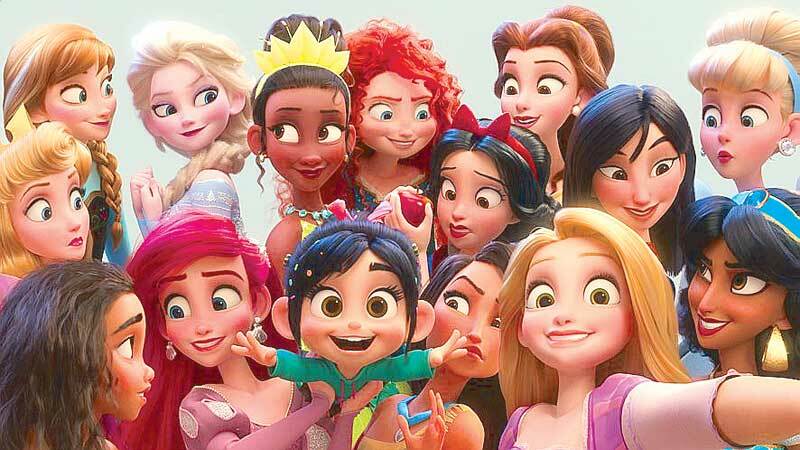 Vanellope takes a groufie with the Disney princesses in a scene from the film. “I’m very proud to be Filipino and the Philippine culture is so embedded in who I am. I feel like we were so connected to the Philippines. My mom used to always say, back home in the Philippines. You know, we’re so close as a family and friends. All of that encompasses who I am but also Philippine culture. I feel like it’s just… they’re one and the same despite having grown up in the US, because I feel like they transplanted Philippine culture. It just happened to be the United States but all my experiences were surrounded by family. 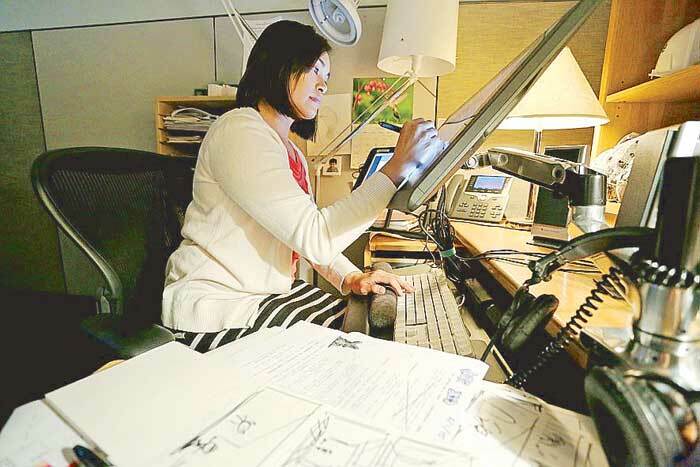 “At Disney animation, there are at least three Filipinos working in the story department. I have a friend named Jo Mateo, he’s been there with me since I started working there, he’s like my kuya. There’s a kinship that I feel with other Filipinos… it’s just a shared experience that I know, it’s like I’m with family. “When I started in 2004, 14 years ago, I was the only female in our apprenticeship program and there was only two women in the story department… Now the story department is nearly half women. It’s women all over the world and many Asian story artists (from) Korea, Taiwan, Philippines, Indonesia, Thailand. It’s really wonderful because you get a female perspective and Asian perspective…from different cultures in Asia. It’s nice to have that camaraderie and diversity in the story room so that each artist can bring their unique perspective and they don’t have to carry the mantle of women or that sort of thing. They can just be themselves because the room is diverse.